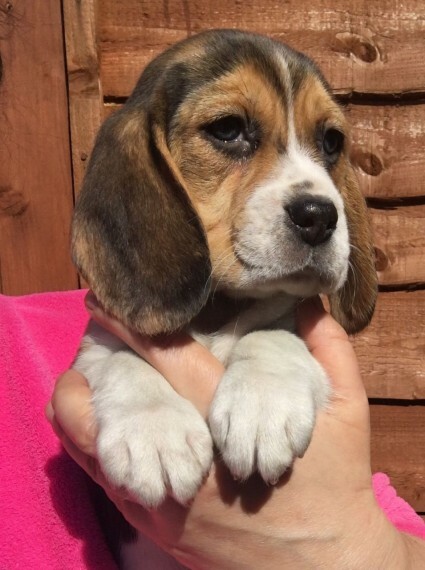 I have a litter of KC registered Beagle females for sale. They had a couple of brothers but they have already been reserved. so I am looking to find a home for each of these 6 quality females. I have 5 tri.coloured girls and 1 special lemon . white girl. They will come with their unrestricted KC papers. vets checked and some Purina dog food. They have been reared in the house and are all very confident. Looking forward to hearing from you if you are looking for a fun loving puppy.